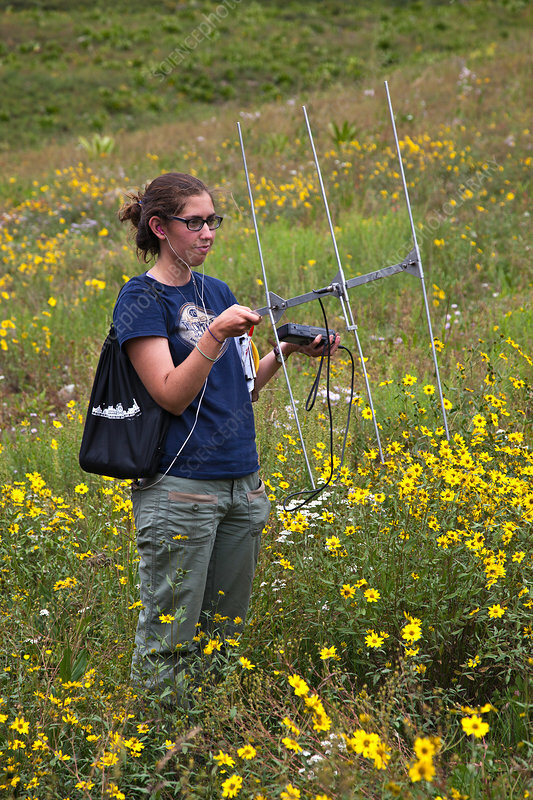 Researcher Lauren Koenig with radio antenna for receiving signals from radiocollared golden-mantled ground squirrels, Callospermophilus lateralis, at Rocky Mountain Biological laboratory in Colorado Rockies. Koenig is studying mating systems and population dynamics in the context of climate change. August, 2013.